Last week the Texas Supreme Court handed down its opinion in Texas Outfitters, Limited, LLC v. Nicholson, No. 17-0509, once again addressing the duty of the holder of executive rights to minerals owned by another. The Court affirmed a judgment of $867,654.32 plus interest and costs against Texas Outfitters for breaching that duty. Dora Jo Carter owned the surface estate of 1,082 acres of land in Frio County. She and her two children owned 50% of the minerals; the other 50% were owned by the Hindes Family. In 2002 the Carters sold the land to Texas Outfitters, owned by Frank Fackovec, for $1 million, financing a part of the purchase price. Fackovec intended to live on the ranch and operate a hunting business. The Carters sold Texas Outfitters 1/24 of the minerals along with the land, and also conveyed to Texas Outfitters the exclusive right to lease the 11/24 mineral interest retained by the Carters. Fancovec wanted the right to lease the entire 50% mineral interest to be sure his surface estate was protected if and when oil and gas development took please. This right to lease the Carters’ minerals, the executive right, became the source of the later controversy. Paul Yale and Brooke Sizer, lawyers at Gray Reed & McGraw in Houston, published an article in the most recent Section Report of the Oil, Gas & Energy Resources Law Section of the State Bar, “ A Brief Look at the Law of Hydraulic Fracturing in Texas and Beyond.” It will be published in a future issue of The South Texas Law Review. It is an excellent overview of the development of horizontal drilling and hydraulic fracturing and the law and controversies surrounding their use. The article is balanced and fully supported by citations to resources and authorities. The authors cover the benefits and risks of hydraulic fracturing, including reduction of foreign imports, jobs, reduced prices for consumers, water quality and usage, air quality, earthquakes, and social impacts. It gives a balanced view of the ongoing debate over whether increased use of natural gas for generation of electricity reduces greenhouse gas emissions, whether there is a connection between hydraulic fracturing and earthquakes, and adverse impacts on roads and other infrastructure. To illustrate, consider the following hypothetical: I own a 1/4 mineral interest in Blackacre, containing 640 acres. My mineral interest is subject to an oil and gas lease reserving 1/4 royalty. There is one producing well on the tract and there are prospects for additional drilling. In Bell v. Chesapeake Energy Corporation, No. 04-18-00129-CV, the San Antonio Court of Appeals heard a permissive accelerated appeal of an issue addressed by the trial court in a multi-district litigation brought by many royalty owners in the Eagle Ford against Chesapeake, In re: Chesapeake Eagle Ford Royalty Litigation, involving multiple claims against Chesapeake for breach of the plaintiffs’ oil and gas leases. The Court issued its opinion last week. The issue addressed by the Court was the interpretation of clauses in two oil and gas leases requiring the lessee to either drill and offset well or pay compensatory royalty. Like most subjects, understanding oil and gas law is often a matter of knowing the terminology – WI, RI, ORRI, NPRI. These terms are often used in a confusing way and the definitions sometimes overlap. So I’m going to try to clear things up. It all starts with the mineral estate. In Texas, the mineral estate can be separated (“severed”) from the surface estate. This can be done either by a conveyance or a reservation. I grant Blackacre to John Doe, reserving the mineral estate; or I convey the mineral estate in Blackacre to John Doe. The mineral estate is considered an ownership interest in land, just like the surface estate. It carries with it certain rights – the right to explore for and extract the minerals under the land. To make that right effective, the owner of the mineral estate must have the right to use the surface estate – to go on the land and drill wells. So the mineral estate is called the “dominant estate,” because the surface estate is subject to the rights of the owner of the mineral estate to use the land to extract minerals. The mineral owner may grant an oil and gas lease to an exploration company to drill wells on the land. In Texas, an oil and gas lease is a conveyance to the lessee of the mineral estate for the term of the lease, reserving a royalty interest. An oil and gas lease severs the mineral estate into two interests – the lessee’s interest, often called the “working interest,” and the reserved royalty interest. When the lease expires, those two estates merge back together into the mineral estate. Tiffany Dowell, author of the Texas Agriculture Law Blog, has a great post providing resources for landowners faced with a pipeline wanting to cross their land. You can view it here. She also has a good checklist for landowners negotiating pipeline easements, which you can download here. And you can listen to her interview with eminent domain lawyer Zach Brady here. 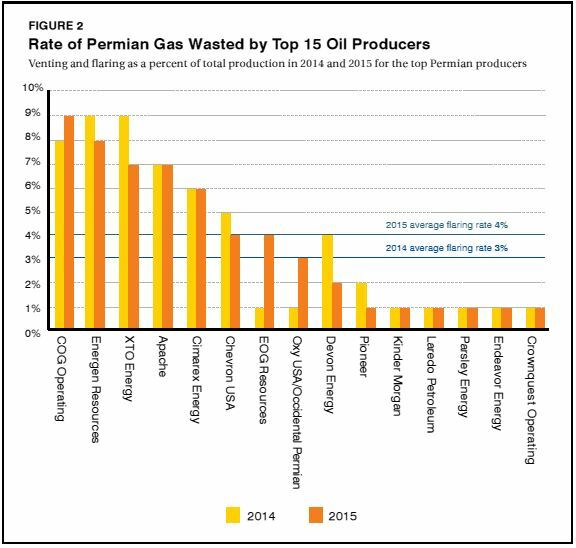 Last month the Environmental Defense Fund released an analysis of NOAA satellite data estimating volumes of gas flared in the Permian Basin in 2017. Its findings: operators report half of the amount of gas actually flared. 104 Bcf of gas is enough to serve all needs of Texas’ seven largest cities – $322 million worth of gas. The State also does not collect severance tax on that gas. Operators must obtain permits to flare gas and report volumes flared. The RRC has not denied any permits. Between 2016 and May 2018, the RRC issued more than 6,300 flaring permits in the Permian. 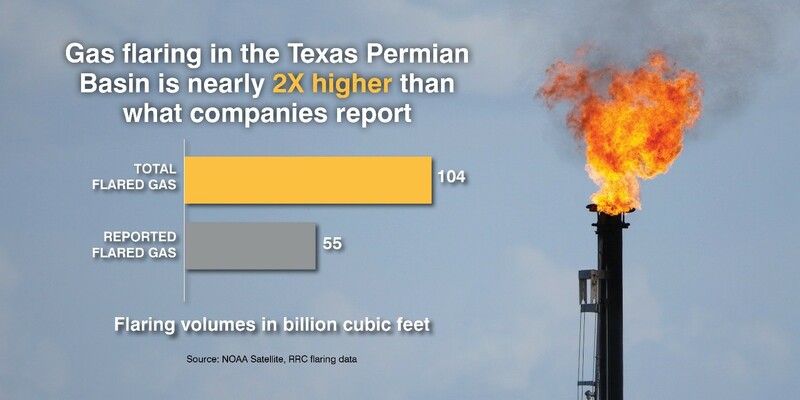 Between 2008 and 2010, the RRC issued fewer than 600 flaring permits for all of the state. The big guys are moving into the Permian Basin. In its DR State Wise Unit in Culberson County, Chevron has completed or is drilling seven two-mile laterals. Tiffany Dowell, author of the Texas Agriculture Law Blog at Texas A&M, gave me permission to re-publish her excellent article on what landowners should consider when a pipeline company asks permission to survey. Here is her article. The only thing I would add is that the landowner should find out the tentative proposed route, and if it is not acceptable, try to negotiate an alternate route before the surveyors begin their work. Thanks to Tiffany. You might want to subscribe to her blog. Question: If a company with eminent domain power has contacted me about obtaining an easement across my property and now wants access to survey, can I keep them off of my land? In Texas, courts have held that by granting condemning entities the right to condemn land, this includes the right to enter onto the property to conduct surveys to select lands to be acquired. Of course, this means that surveys may be conducted prior to the property actually being condemned. “Ancillary to the power of eminent domain is the authority to enter upon the land to make a preliminary survey.” I.P. Farms v. Exxon Pipeline Co., 646 S.W.2d 544 (Tex. Ct. App. – Houston (1st Dist.) 1982). Courts have issued injunctions against landowners attempting to interfere with this right. There is a line of court cases that limit this right to visual inspections and lineal surveys only, refusing to allow more invasive procedures like core drilling or subsurface soil testing. See Coastal Marine Serv. v. City of Port Neches, 11 S.W.3d 509 (Tex. Ct. App. – Beaumont 2000).